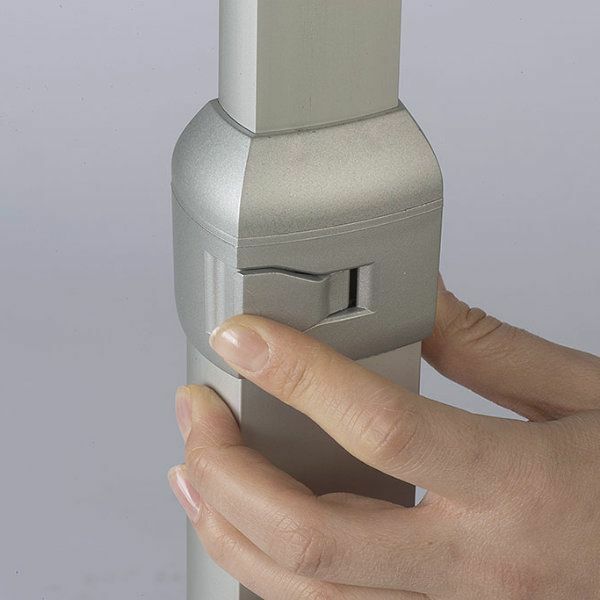 It is a genuine design for today’s technological display solutions. 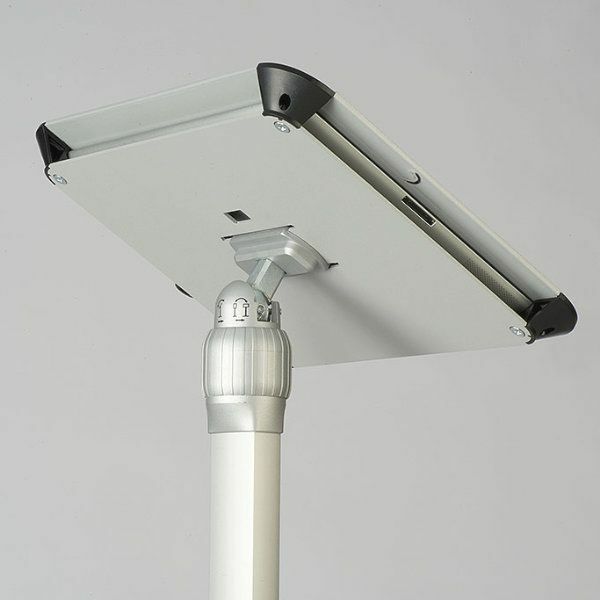 The IPad holder can be rotated to display landscape portrait positions and adjusted to at a required reading angle. 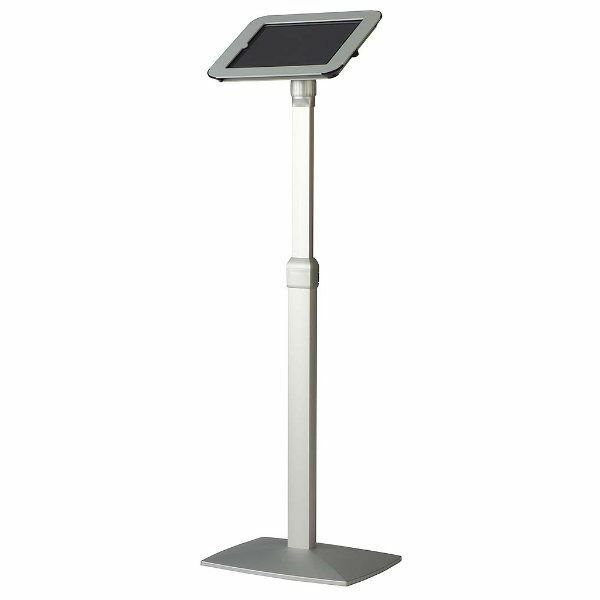 The height of the kiosk can be adjusted to max 48 1/16 inch (1220 mm). when landscape and max 49 1/16 inch (1245 mm) when portrait. 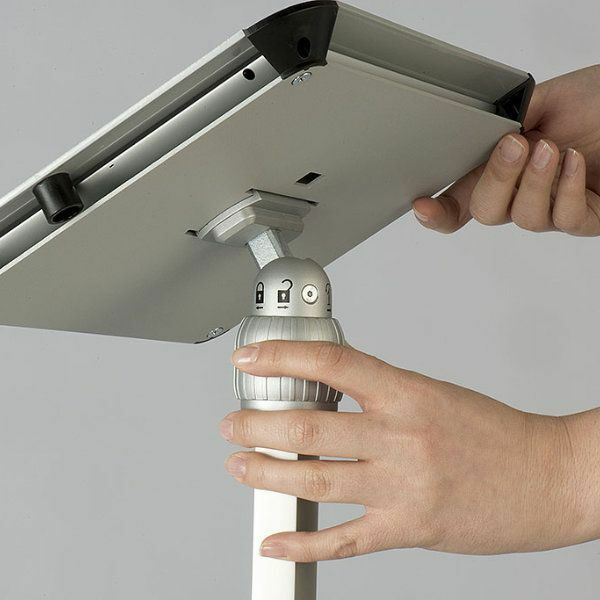 IPad is secured with 2 tamperproof screws to reduce the risk of theft. 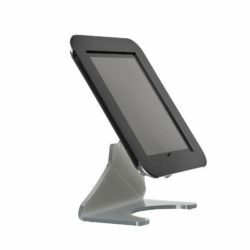 Ipad and smartphones are pioneered technology of today and Ipad cradles provide the benefits of smartly designed, stable stands transforming tablets into portable display kiosks. 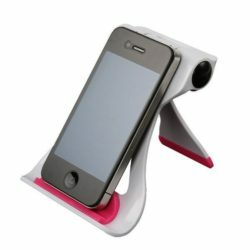 This adjustable iPad stand accommodates iPad, iPad2 and iPad3. 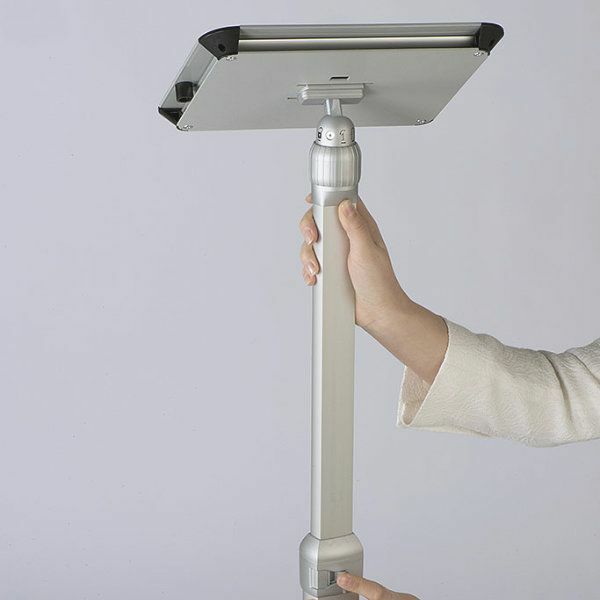 You can buy separately a conversion kit to hold the iPad 4. 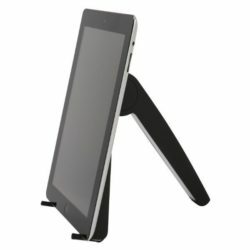 360-degree rotatable tablet case gives you the freedom to use your tablet either vertically or horizontally. 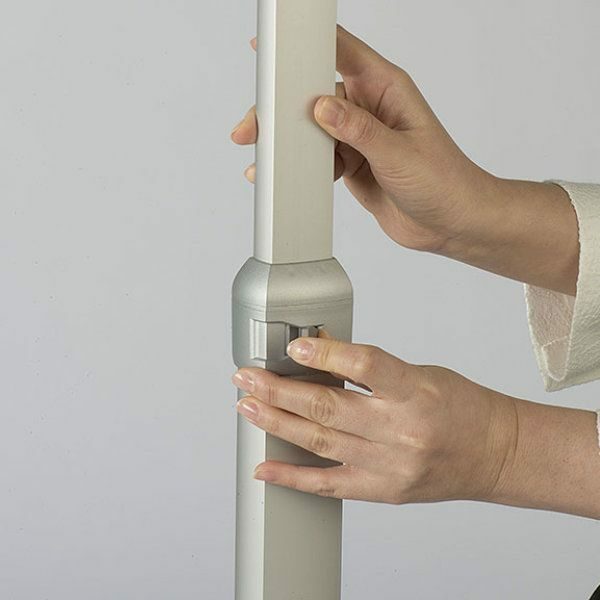 Its height can be adjusted to max 48 1/16 inch (1220 mm) when landscape and max 49 1/16 inch (1245 mm) when portrait. 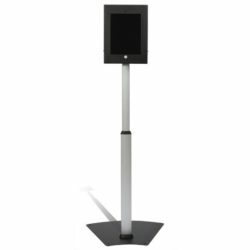 Equipped with a stable foot plate and an aluminum profile this floor iPad stand provides stability and durability. 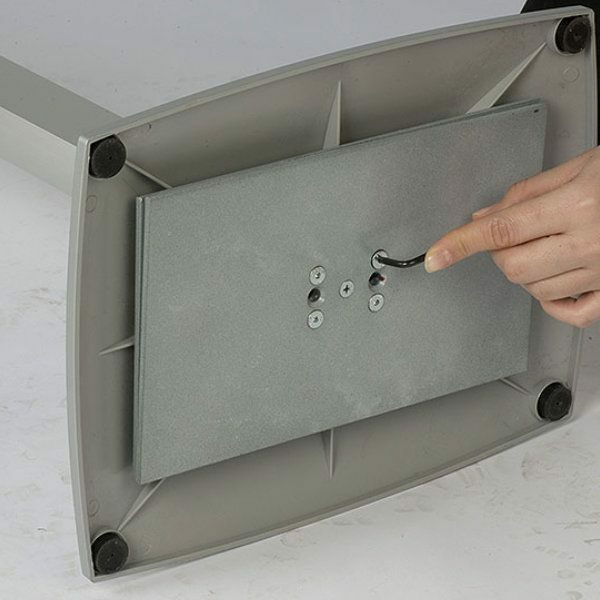 Your iPad is secured with 2 tamper proof screws against theft and fall. 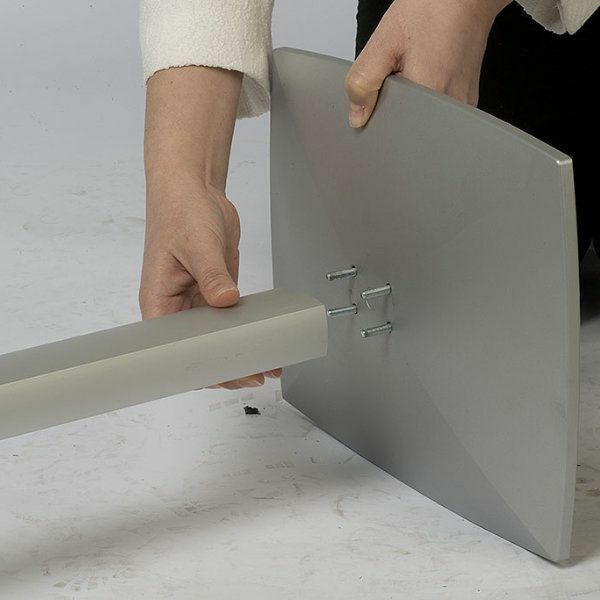 The allen key comes with this locking floor stand kiosk. 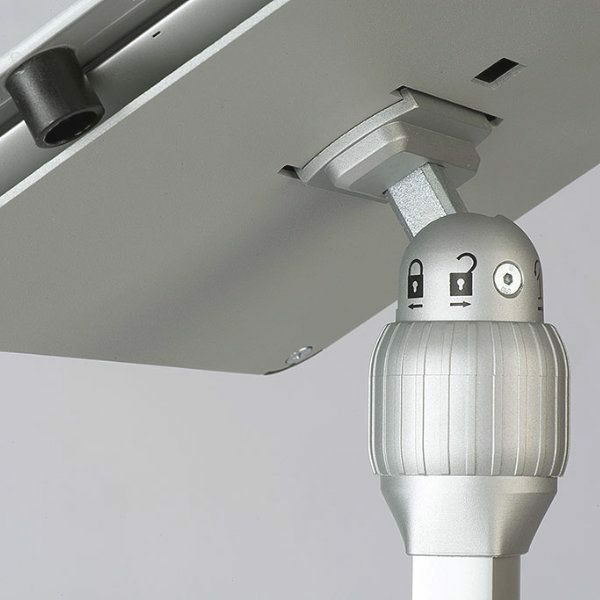 We know that you have different business needs from saving money to increasing sales, from improving customer service to announce your daily promotions. 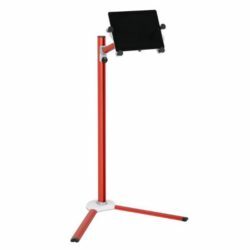 iPad floor standing holder can boost your bottom line in many ways. 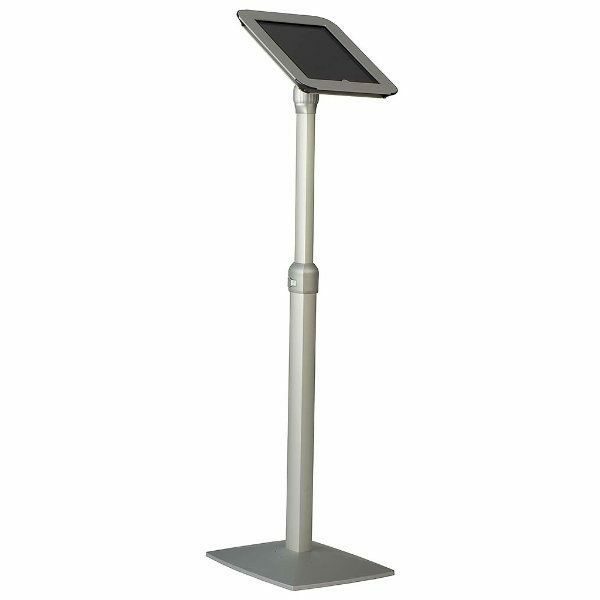 Allow your customers the most ease of access to your data by the latest technology of tablets and a floor standing kiosk. Displays Market provides a wide range of touch screen device holder suitable for many business environment such as dentists, libraries, exhibitions, retail stores, cafes, restaurants and many others.